Cat’s Haven’t Evolved: Should Your Dog Go Vegan? Is this a question you are asking yourself? An increasing number of people are turning towards vegetarian and vegan diets because of links to lower cancer rates and other health benefits in humans. But these health benefits do not necessarily extend to our four legged friends. There is an increasing trend in pet owners changing their pets omnivorous diet to a vegetarian diet. In the wild, wolves are carnivorous, but their domesticated brothers and sisters have evolved to being able to digest starches such as potatoes, wheat, corn, and rice. Cats, however, have not evolved. I know many dog lovers will be laughing about that statement, but it is true. Cats remain carnivores. This means that if you put your car on a vegetarian or vegan diet, they will likely die of malnutrition. 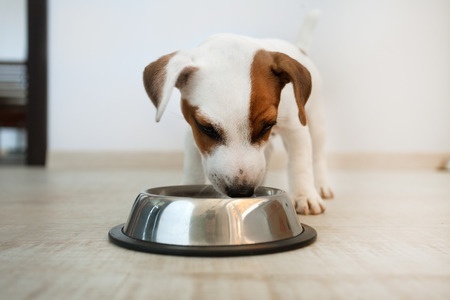 Most plant-based dog foods are not compliant with acceptable standards of pet food and 86% of vegetarian dogs that were surveyed were found to be deficient in protein, essential amino acids, calcium, zinc, vitamin D, and vitamin B12. With lots of supplements, and a high level of monitoring, it is possible that a dog could be healthy as a vegetarian, but it is unlikely. Cats cannot be healthy on a vegetarian diet. If you want to keep your dog and cat healthy, keep feeding them their balanced meat filled diet. Remember, your pets body and digestive system is not the same for them as for you. Human bodies can eat a lot more than pets and what is healthy for us is not always healthy for them. In fact, there is a lot of food that is toxic to your pet. If you are concerned about something your pet has eaten, or about their diet, call our Albuquerque veterinary clinic and make an appointment for a well animal checkup.